What's your Skin Story? 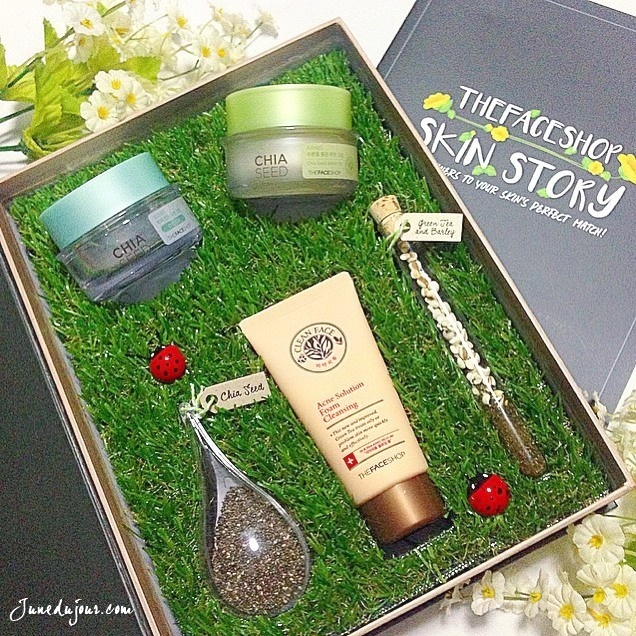 Say it with The Face Shop Chia Seed Moisture Holding range & Clean Face range! Have you ever wondered what is your skin's story, and if it could speak what would it say to you? The Faces Shop hopes to answer those cries of help, with its specialized series: the Chia Seed Moisture Holding Range and the Clean Face range. 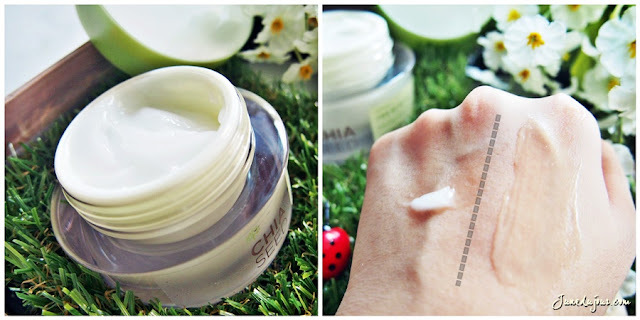 If you have been following my blog for sometime, then you'll already know my love for gel-based moisturizers, given the mad humid climate of Singapore. The Chia Seed Moisture Holding Range is one that has my heart; which uses the Chia seeds harvested from South America, Chia Seed. What is so special, you might ask. Given its minute size, Chia Seeds contain an intensive hydration capacity that's about 10 times more moisture than other ingredients! The Face Shop Moisture Holding Seed Cream is my star pick because I can't get enough of its fresh scent and lightweight jelly texture. When applied, it adheres to skin and leaves a layer of velvety-ness which I feel actually helps to prep skin before makeup. For oily combinations skin types like me, the Face Shop Sebum Control Cream ($36.90) is perfect with its 0% oil formulation. But you can't skin essential moisture since we tend to loose hydration during the day, thus this range promises to keep skin optimally moisturized yet keeping sebum oil under control thanks to its Cotton Seed component which contains 50% omega-6 fatty acid content and is antioxidant in nature. As lightweight as the forementioned moisturiser, this one offers a silky feeling instead, and I noted that it seemed to be more fast absorbing to give leave skin feeling moisturized. It is my go-to for days which I have longer engagements and want to stay shine-free. Furthermore, because of its neutral gel consistency, I like to mix this together with my drier liquid foundations before applying for a smoother finish. For those with troubled skin such as acne and primples, The Face Shop Clean Face range has just the thing. The Acne Solution Foam Cleansing uses anti-bacterial and anti-inflammatory Tea Tree which calms skin while Barley's selenium extracts helps booster skin suppleness by fortifying it against free radicals in the environment (like smog, dirt). This fresh scented cleanser lathers richly with just abit of water, and while I find that it gives a thorough cleanse after a sweaty long day; it has a slightly waxy after-feel that left my face feeling abit taut. Nonetheless, I found that it helped especially in balancing my face's sebum production, because my complexion became less shiny and oily as before. Whichever you pick. 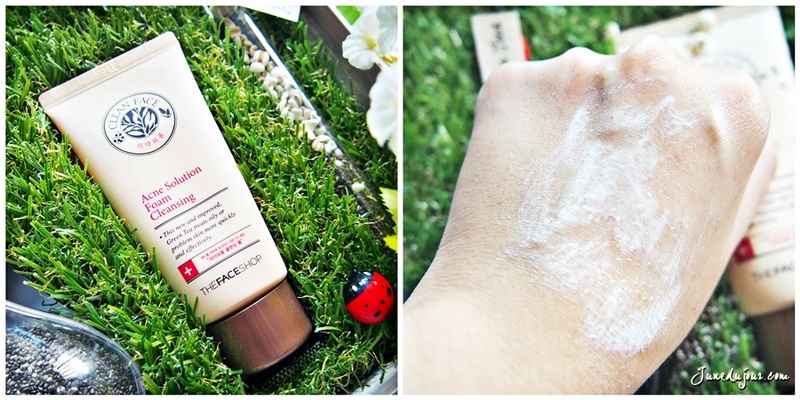 here's to hoping you'll get that fairy tale perfect complexion thanks to The Face Shop! The featured products and ranges are currently retailing at all The Face Shop outlets islandwide. Chia seeds is being used everywhere today. Its time people need to get healthier. So many products that are not good for us. 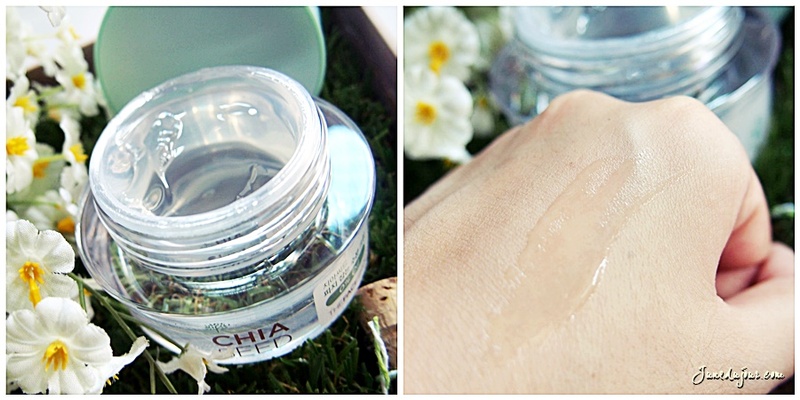 It's interesting to know that Chia seed is being used in facial product too. I am impressed by the water absorption capacity of Chia seed so I think this Chia seed product will be great in providing moisture. will try their products soon. i have sensitive skin, and i think their products are quite suitable for me. I can't remember using any beauty product with chia seed. With your recommendation, I really would like to try soon. Didn't know Chia seeds can be used in skin care too. This product looks interesting and worth-trying. wow another new products from TFS. Gotta try them out some time. Now Chia Seed has multiple usage. Not only can use to lower down the bad LDL but also can use for our skin. I have not try it yet but thanks for the sharing. I like The Face Shop products, especially their masks and moisturizers. Chia seeds are good for your health as well for skin. This is a new product i believe and must be impressive. Boy, my skin will tell you all about my abuses towards it. Natural products rocks. Natural products are always better for the skin and body, albeit the heftier price tag. Don't think i've seen this range in Malaysian market yet, or it's been ages since i've walked into Face shop haha! Ever since innisfree opened here, i barely check out other korean brands already. The face shop is definitely worth the price! I would like to hve this set!